Spinner luggage pieces make life easier for the modern traveling family. But how do you choose between the different types and brands of spinner luggage? Mamma Loves Travel takes a look at some of the best spinner luggage pieces in this comprehensive guide. Should You Choose Spinner Wheels or In-Line Fixed? I’m sure we all have some nightmare stories about carrying heavy luggage! As a young backpacker, I was happy to carry half my weight on my back as I traveled across Europe, but with 3 kids, things are different. 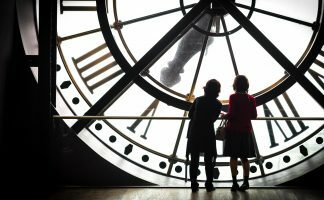 And as the years go by, I find it’s more important to focus on looking after one’s physical health, especially when it comes to your back, hips and legs. Years of handling heavy luggage can put a strain on your body! Fortunately, we don’t have to make life so hard on ourselves when we are dragging luggage to our destinations. We’ve come a long way since then, and now have the option of spinner wheel luggage to make rolling luggage even easier. Luggage pieces with spinner wheels can help make life so much easier for you while traveling with your kids. There are dozens of brands of spinner luggage currently on the market- the endless options can make it difficult to choose the right luggage for your family! Samsonite offers some of the best spinner luggage 2016 currently on the market, and is a brand many travelers know and trust. Samsonite consistently designs and makes durable suitcases that offer great quality for a modest budget. Yes there are more high-end and expensive brands that you could choose, but Samsonite dominates the luggage market because of its customer’s trust in the brand and products. Design innovation and being a brand of choice for frequent travelers and flight crews has made Travelpro one of the best spinner luggage 2016 brands. You can thank Travelpro for modern day wheeled luggage! It all began back in 1987 when a Northwest Airlines pilot invented the first wheeled luggage, known as “The Original Rollaboard”! American Tourister is a luggage brand that offers different types of spinner luggage to suit any budget, and is known for durability and reliability. 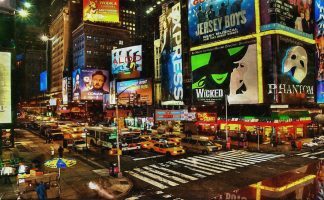 American Tourister also offers many stylish designs- so if you’re into travel fashion, then American Tourister should have an attractive option for you. Another innovative luggage company is Delsey Paris, a French-based company that has been in the luggage business since the mid-1940’s. 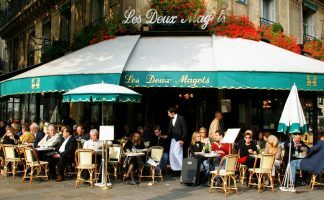 Delsey offers innovative luggage solutions combined with style elements which the French are, of course, well known for. 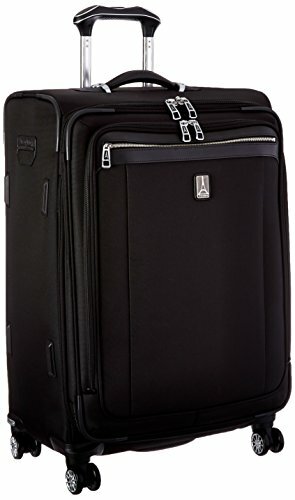 All the luggage pieces in my list of the best spinner luggage can be purchased from most luggage retailers, or for convenience and ease of purchase, I recommend buying via Amazon. I have included an Amazon link for each product. You can also read recent customer reviews via the same links. Made of 100% polycarbonate, the lightweight Samsonite Winfield 2 spinner luggage piece with four, multi directional spinner wheels is strong, durable and weatherproof. It is made to absorb impact by flexing when under pressure, and then popping back into its original shape. The handle has been ergonomically designed, making it very easy for you to move around. No need to worry about walking in the rain with this suitcase, and your belongings will stay well-protected. A polycarbonate suitcase with an internal fabric lining means there is less chance of your items being squashed or broken. A luggage cover is also included. To prevent possible ugly scuff marks or visible scratches, the Samsonite Winfield has an elegant brushed pattern. 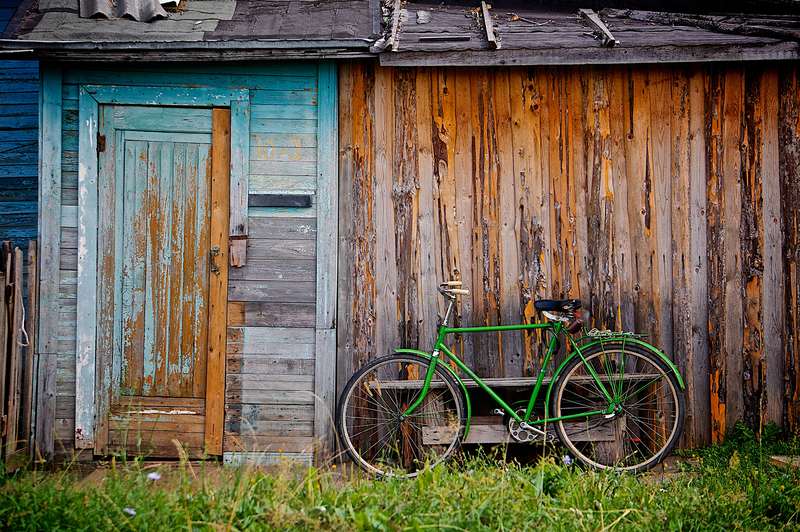 However, some travelers complain that it still scratches easily, so keep this in mind. The squared design and easy expansion gives you maximum packing capacity, important for a traveling family with lots of items. And while organization can be a nightmare when packing lots of stuff, the Samsonite Winfield offers a privacy curtain over a fully zipped interior divider with organization pockets to make things easier to find. As with most luggage, there are cross straps to prevent your items being thrown around inside the luggage, and the 10 oversized zippers are easy and smooth to use. As an added bonus, there is a side-mounted TSA lock is included for your peace of mind. One less thing to think about! Despite the brushed pattern and flexible shell, is still prone to scratches and scuff marks. Read customer reviews and find out the latest price for the Samsonite Winfield 2. 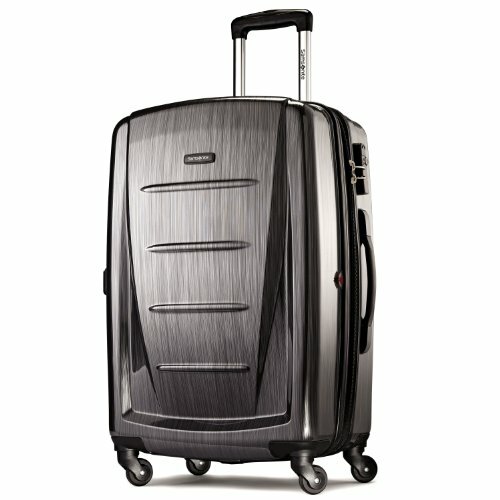 Travelpro is the original wheeled luggage company, bringing out the first ever suitcase with wheels back in 1987. Since then, the company has continued to design luggage with tourists in mind. While we recommend any of the Travelpro luggage, the Platinum Magna collection is the most superior of all Travelpro luggage pieces. Materials and workmanship on the Platinum Magna is of higher quality, leaving you with luxurious and superior quality luggage. 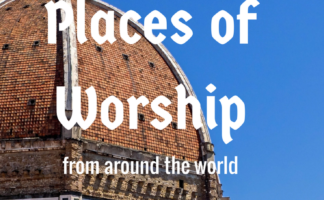 Definitely for those who travel frequently. Spinner wheels can be difficult to control when you are faced with an incline. But the great thing about the Travelpro Platinum Magna 2 25 Inch Express Spinner Suiter is that its wheels have been designed with a patent-pending magnetron system. 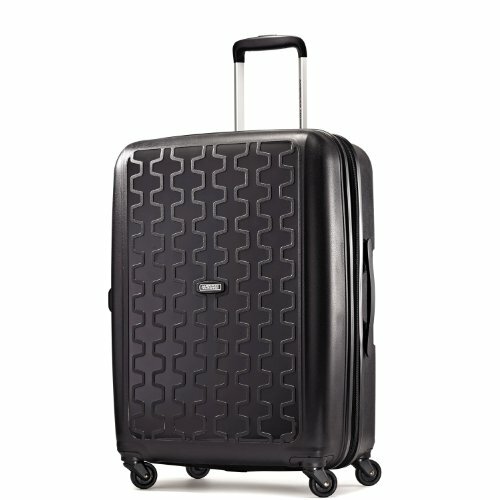 The spinners are self-aligning magnetic dual spinner wheels, meaning the suitcase rolls in a straight line. But the innovative design features don’t end there. Travelpro also has a patented PowerScope aluminium extension handle which has been designed to minimize wobble, and has three different level stops to suit your height. There is also a patented Contour Grip and TPR touch points which are specifically designed for spinner luggage. The suitcase is made of 100% high density nylon fabric with DuraGuard coating which acts as a repellent for water and stains. The top and side carry handles are made of leather for extra strength and durability. The zippers are also sturdier than those on other Travelpro suitcases. Expensive- but as they say, you get what you pay for. Read customer reviews and find out the latest price for the Travelpro Platinum Magna 2. 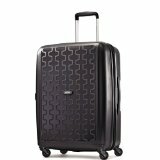 If you’re looking for the best spinner luggage 2016 that suits budget travelers, I’d recommend the American Tourister Duralite 360 Spinner. This is an expandable suitcase that allows you to fit more items in, while the outer shell offers some flexibility to prevent dents. The suitcase has a two-sided design, with separate waterproof and modesty pockets in the middle which help with organization. The waterproof pocket is excellent in case of liquid spillages during transit. There are 4 large rubberized spinner wheels that makes it easier to manoeuvre the suitcase, while lightweight aluminium handle tubes and flush handles give you extra control without much strain. The luggage piece has a raised texture design, which helps with scratch proofing but also visually stands out- it’s attractive, and easy to spot on the luggage carousel! 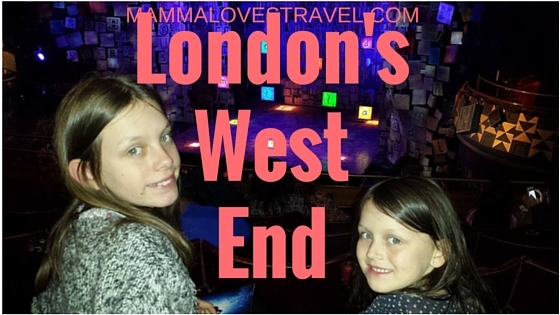 What most travelers love about the American Tourister Duralite is that it is very lightweight, and Im sure other parents would agree that this is important when traveling with so much stuff! Plastic outer shell looks cheaply made (although from most reports it still holds well under pressure). Read customer reviews and find out the latest price for the American Tourister Duralite 360. 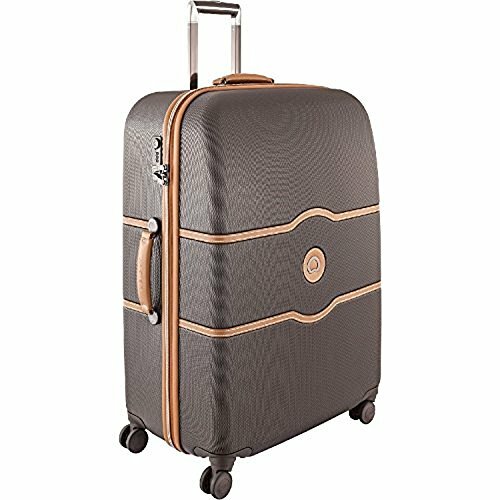 The Delsey Luggage Chatelet 28 inch spinner suitcase offers innovation and style by the Parisian-based company, which has been designing suitcases since 1946. What I love about the Delsey Chatelet is that it offers a solution to the typical spinner wheel problem of wheels moving when you don’t want them to. With a simple turn of the knob, the unique brake system is activated, which stops the two front wheels moving. This is helpful when you are, for example, on a train and don’t want your luggage to move. You still have the option of rolling the suitcase using the two back wheels only, even when the brakes are on the front wheels. While many suitcases uses standard Chinese-manufactured spinner wheels, the Delsey Chatelet uses the higher quality Hinomoto Japanese spinner wheels which offer a smoother and quieter roll. The Delsey Chatelet also has a patent-pending securitech zip, which is more resilient than a standard zipper, providing extra security and durability. The luggage also comes with an integrated TSA approved lock. The luggage itself has two separate compartments which are fully lined. One compartment has two tie-down straps while the other compartment has a zippered divider to prevent your contents from shifting during travel. And what would French-designed luggage be without a range of stylish colors? The Delsey Chatelet comes in brown, black/brown, champagne (white/brown) and black/black. Read customer reviews and find out the latest price for the Delsey Luggage Chatelet. Traditionally, luggage pieces had in-line fixed wheels- they would have two wheels that moved in a fixed direction, much like in-line skates. This would help take some of the weight of the luggage off the person handling it. While this was a better option than using a suitcase without wheels, it still meant that the person had to bear some of the weight. The great thing about spinner wheels is that there are at least four wheels, and sometimes eight. The wheels can move in all directions, they are not fixed like the in-line wheels. This means that the suitcase barely requires any strength or control from you. In fact, most of the time the suitcase can stand on its own, or at least with a bit of stability from your hand on the handle. Surprisingly, in-line fixed wheel suitcases do have their benefits. They are more stable on sloped surfaces, because you don’t have to worry about the wheels moving in all directions. This is handy if you are walking up or down a ramp or hill. With spinner luggage, you need to place the luggage down flat or use your weight to stop it moving when faced with an incline or decline. Since in-line fixed wheels are a lot smaller, they make your luggage piece smaller overall. This is important when considering your airline’s overall allowable luggage space. Baggage handlers don’t often take care of the luggage they are handling. Many travelers that use spinner luggage complain that the wheels snap when being mishandled during travel. This happens because the wheels are externally mounted, and so are more prone to being damaged. 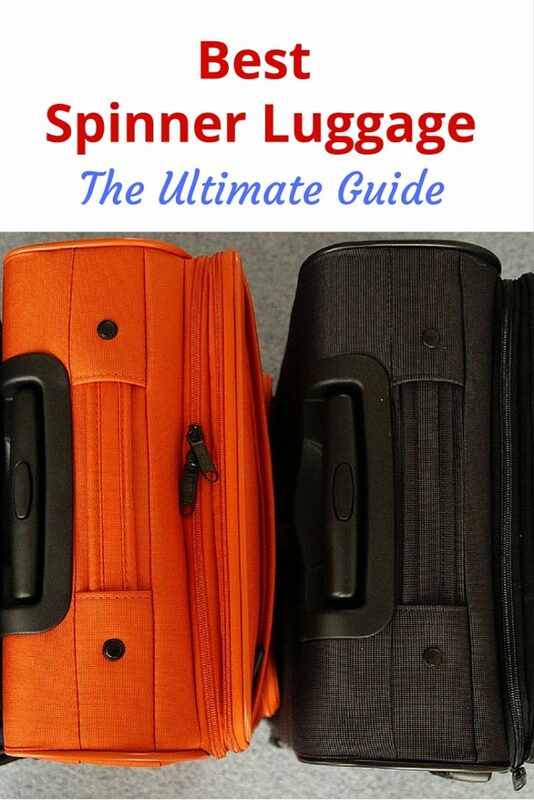 Look for spinner luggage with high-quality spinners (which I talk more about later in this post). As I’ve already mentioned, the biggest benefit of spinner luggage is the ease in moving luggage around and the lack of strain placed on your body. Spinner luggage can be pushed down narrow aisles on their side. Travelers with physical ailments, pregnant women and those with reduced mobility would find spinner luggage much easier to use. 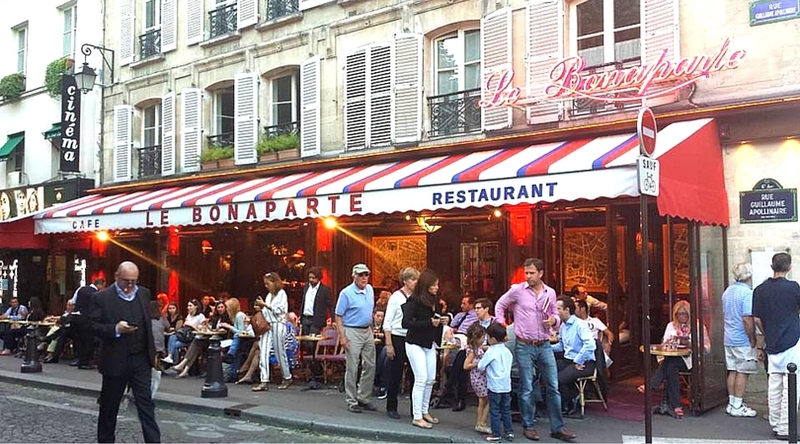 Many families now travel with older relatives such as grandparents and great-grandparents. Spinner luggage would make such a difference to older relatives who are no longer able to handle heavy luggage. If you’re a parent of a young infant or toddler who needs to be carried, think about how easy it would be to carry your child and roll your spinner wheel luggage right beside you as you’re walking. 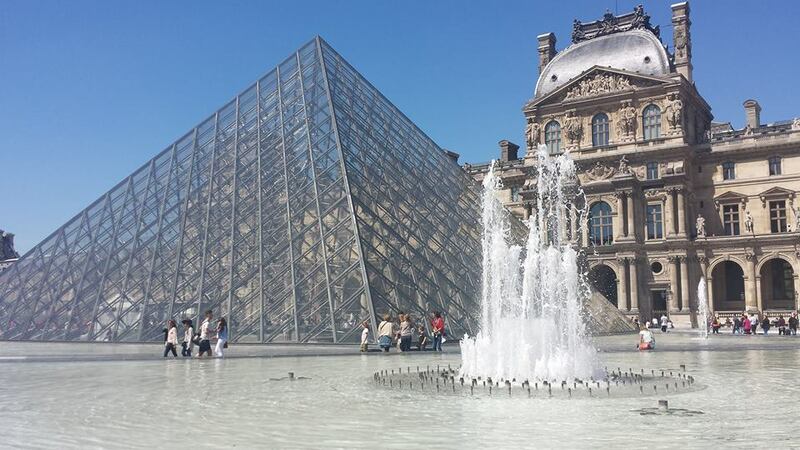 When making your final choice, you need to consider your own personal needs and your travel requirements. Here are some things to think about when making your choice. Consider the types of surfaces you will be walking along with your suitcase. Will you be walking up and down hills or sloped surfaces? Will you be using a large suitcase? If so, consider the extra space that externally-mounted spinner wheels take up. What are your airline’s luggage space restrictions? Consider your mode of travel. If you will have your luggage beside you while traveling on a metro train, the luggage will be moving around a lot unless there is space for you to place the suitcase down flat. What is your overall health like? If you are not so fit or have other physical issues, then you need luggage which requires less physical strength from you. Two other important aspects to consider when choosing luggage is the size and weight. Airlines have size and weight restrictions, so choosing a lightweight luggage option is important. You don’t want to have to pack fewer items because your luggage is heavy to begin with. This is where hard case luggage is great- they are made with hard case polycarbonate which is lightweight and durable. Budget airlines are often stricter on size requirements, so when choosing your luggage size, consider whether the largest luggage option will be the best for you. It might be more cost effective to avoid the budget airlines’ penalties for exceeding their size and weight requirements, and choose a smaller luggage size. The best spinner luggage 2016 reviewed in this post all have smaller options than the ones I have listed. I have chosen the largest sized options as most families, especially larger families like ours, need to pack more items. Nowadays, most luggage is designed to be expandable, so that you can fit more items without having to choose a larger-sized suitcase. This helps with the airlines’ size restrictions, but many people forget that packing more also means more weight! Many families have been caught out at the airport when they realise their expandable luggage has meant they have packed more and now have to pay the airline a weight penalty! On the plus side, how many times have you had to pack more at the end of your trip than what you packed at home? This is where expandability is handy- you can squeeze in those last few souvenirs! Being from a family that loves to travel, my recommendation is not just buying any spinner luggage, but one that is of high quality. I’m all about reliable, sturdy products that will last. I would rather invest in luggage that our family will be able to use for quite a few trips than to buy something that we can only use on one vacation and then have to throw it out because it is damaged. Look for reliable brands such as Samsonite or Delsey, who have made luggage with higher-quality spinners that makes them more durable. But if you prefer in-line wheel luggage, then choose the best quality you can afford. To keep your hard shell luggage looking clean and well looked after, use a gentle dish soap and warm water and rinse well afterwards. A wax can be applied to help preserve the clean appearance and to add extra protection, but take care in the type of wax that you use. Samsonite’s website recommends a good silicon-base furniture polish, but advises against using a combination cleaner-polish. To keep your soft luggage looking clean and well looked after, spot clean using a mild dish soap and warm water. Spot stain removers can also be used. Odors can be removed by using a mixture of 1 part vinegar to 5 parts water, but once dried make sure you air out the suitcase or else the vinegar smell will remain. Samsonite also recommends placing charcoal inside your luggage for a day or so with the suitcase closed, to also help remove any odors inside the luggage. Charcoal is a great odor absorber. Beware of storing your luggage in extreme temperatures. To prevent mildew forming, take your luggage out of storage and air it on a regular basis. If you have not used your luggage in a while, after you have aired it out, clean the luggage before using it, as per the instructions provided. These handy cleaning and storage tips are provided by Mamma Loves Travel, but please refer to your manufacturer’s instructions and adhere to their recommendations first and foremost. I have shared with you some of the best spinner luggage 2016, and have based my choices on value for money and what I think will help families with their luggage requirements. When choosing spinner luggage for your family’s travel needs, consider innovative options that will help make your family vacation more enjoyable. 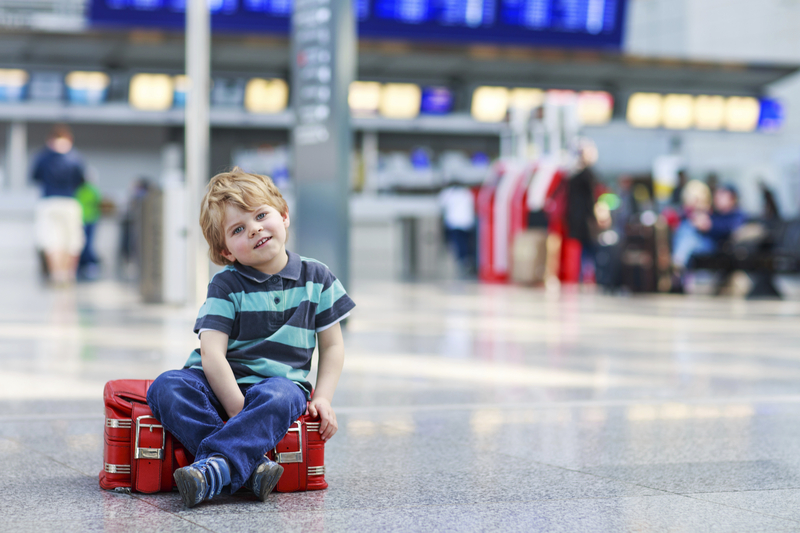 While luggage can be a nightmare when traveling with kids, there are some great innovative and practical options available to make it easier to handle your luggage and pack for the family. Unless you will only be flying once with your family and any cheap option will do, consider spending more money and investing in luggage that will give you many years of use. I hope you’ve found my comprehensive guide to the best spinner luggage 2016 helpful in making the right choice for your family’s travel needs. Disclaimer: This post contains Amazon affiliate links. If you click on an Amazon link and decide to make a purchase, I may be paid a small commission- this is at no cost to you. Thank you for supporting our family! 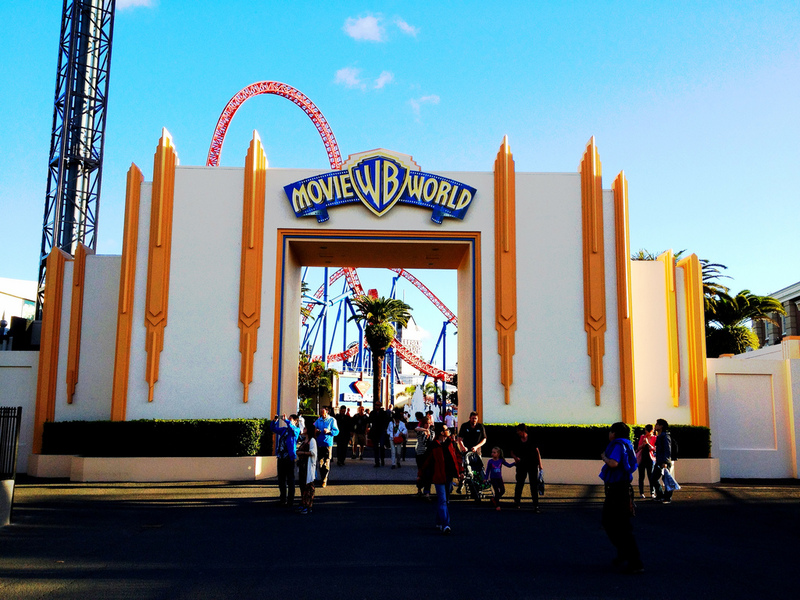 Surviving the Gold Coast: 6 tips for rollercoaster fun! Mamma Loves Travel Copyright © 2019.